Rerouted D Train Local and A Train Express at 168th Street. 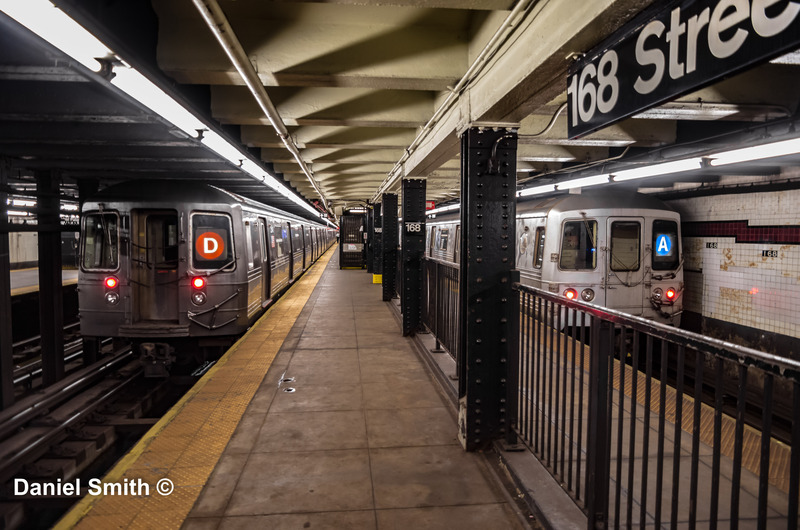 Due to a stall work train at 167th Street, this D Train was rerouted via the A Line from 145th Street to 168th Street the last stop. This D Train also ran local from 59th Street to 168th Street due to delays with the A Train.